The new Storable Uneven Bars are the perfect Bars for any YMCA, Recreation or High School program that has to set up, take down and store equipment on a daily basis. 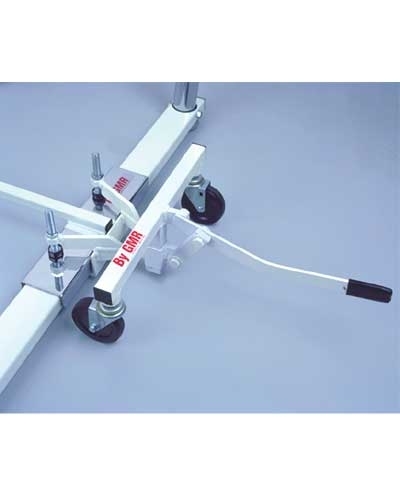 Exceeds FIG Bar to Bar specifications of 180cm(70-7/8"). 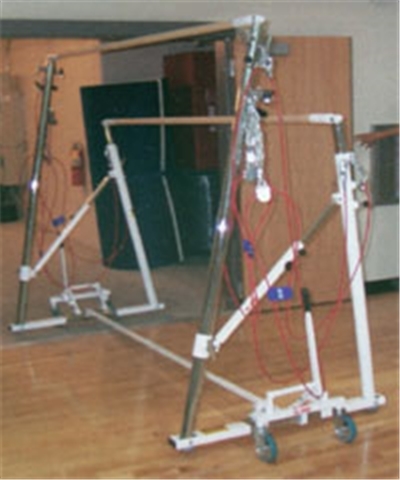 Bars are easy to transport and will roll thru any standard height double doorway. The uprights fold flat and the high bar lowers to 78". The high bar uprights have hooks to hang the cable assemblies on to prevent from scratching the gym floor. Storage space required: 44" wide x 116"long x 78" high. Features 39mm round rails. Includes two base spindowns. Requires cross brace and transporters to transport and store. Requires 6 floor plates. See alternate view for bars in stored position. 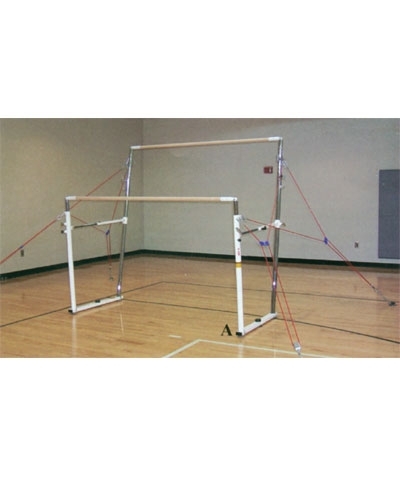 Meets FIG, USAG, NCAA and NFHSA gymnastics equipment specifications. Please use the quote button to request motor freight charges.